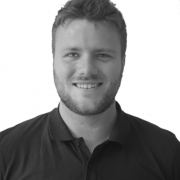 Mads Isager Nielsen is our new account manager in our export department. 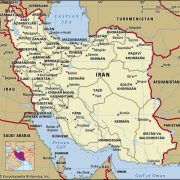 He is to ensure progress and good customer service to our distributors in ever increasing countries. Tempress introduces many new products and obtains new customers and gains new markets and this fact demands more competent employees with technical qualifications. A strong distributorship and new agents are imperative for Tempress’ growth and development. Our customers wish for technical support and sparring and Mads can contribute to this by creating value to our agents and distributors, who have the local contacts. With a technical background as a marine engineer with Maersk, Mads will be a strong employee in the export department. Mads reports back to the Sales and Export Manager,Jens Christiansen, who is continuously responsible at Tempress. 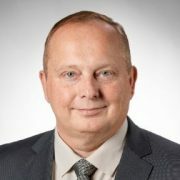 In future, Jens will be responsible for large accounts, international OEM customers accross borders, management of internal sales and business development in new areas and new markets. At the moment, Mads is working on product training and getting to know our customers and during the summer period, he will visit agents/distributors and markets. In 2018, Tempress moved into new premises, where there is room for development of internal and external logistics. Therefore, we are ready to be a strong acctractive business partner for many years to come. Tempress is continuously working on improving the services and goods we are providing to our customers. After some research, we estimated that if we want to continue delivering the high quality which people are expecting from us, we have to move to a new and more advanced building. Finally, the moving is happening now. 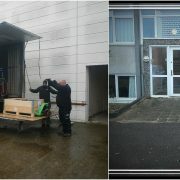 From today, we started the relocation of our offices. The final moving will be on 22nd of December. We promise to all of you that from 2nd of January we will be back online and ready for the challenges of the new year. Furthermore, from 8th of January, we expect to be fully operational again. Tempress is welcoming you from 2nd of January to our new office on Sønderskovvej 10, 8362 Hørning. SF6 gas is extremely damaging for the climate and must therefore only be used in few areas such as in the electric isolaters for high power in the electro industry. 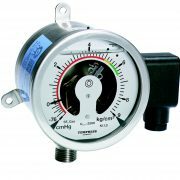 It is in inert gas and is very efficient in preventing dangerous sparks and is at the moment the only feasible gas for this purpose. Because SF6 is in particularly dangerous to the environment – up to 23,000 times more damaging than CO2 – there are strict rules to prevent leaks from transformers etc. In each isolator which contains SF6, there must be a sensor, which controls the density within the gas and thereby controlling the leak of gas. 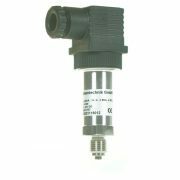 Tempress’ SF6 Density Switch is a vital part of the equipment and we have an excellent cooperation with General Electric concerning this advanced equipment. Climate and environmental sectors are important to Tempress, which supplies equivalent products to many other customers around the world. Customers like Kepco, South Korea for electric trains and Fokstone, China with the Ship building industry. Very often the products are customized to meet strict demands for quality and precision. Our agents are willing to help you with technical guidance. Tempress A/S has a long and successful history in China. We like to do business in this part of the world because of the huge opportunities, which are present in China. For Tempress it was important to increase the awareness and spread our values. We wanted our name to speak for our self and for the high quality which we are aiming for. So, after we proved our expertise on the market, we wanted to guarantee the safety of the name Tempress. Finally, it is accomplished. 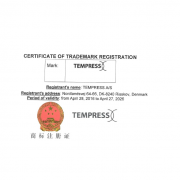 We are pleased to announce that Tempress name and logo has now been approved by the Chinese Trademark Office (CTMO). That will guarantee to our customers that when they see the name Tempress, they will recognize the high quality Tempress stands for.